Jen + Rodneys Blog: My Lips Hurt Real Bad! Flumpy was just telling me this morning how badly his lips are hurting in this cold, dry weather. Luckily, a package arrived today from our friends at The Beneficial Bee! 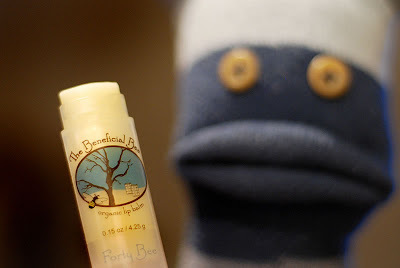 For those of you who don't know, The Beneficial Bee is owned by our friends, Jess and Glenn - they make organic beeswax lip balms (see link on right for their website and blog). 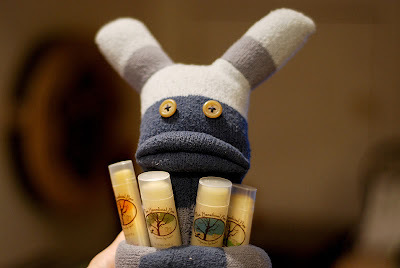 Well, when your lips are as big as Flumpy's, it's important to moisturize. that is so cute! you need to post that to the beneficial bee site somehow!